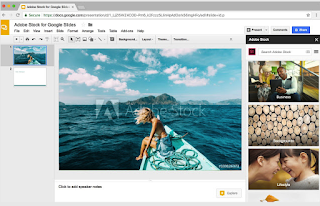 As we have seen in yesterday’s post, Slides has recently introduced a number of interesting new features. 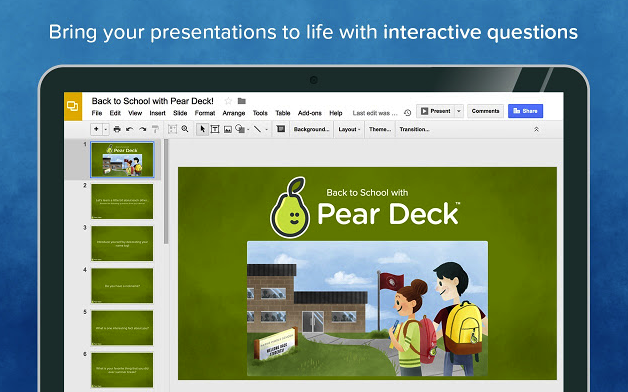 For instance users are now able to embed and sync slides across multiple presentations. They can also integrate Google Keep notes into Slides presentations with a single click. But the most important new feature is add-ons. After Docs and sheets, Slides now support add-ons bringing thus more capabilities and functionalities to your presentations. From the few early add-ons that have been added to Slides we selected for you the ones below. 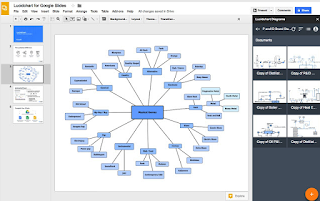 You can use these tools to create and insert a wide variety of content to your slides including: interactive questions, formative assessment questions, diagrams, concept maps and many more. Check them out and share with us your feedback in our Facebook page. Pear Deck add-on for Slides allow you to add formative assessments and interactive questions to your presentations. Some of the interactive questions you can add include: Warm-ups and Temperature Checks, reflections and exit tickets , text and number response prompts, drawing and draggable Slides and many more.